I’ve always had a fascination with Cyberpunk; it’s the realisation of our inevitable, highly technological future combined with the cynical belief that it’ll rot our society. With the leaps in technology made in just the past few years, the cyberpunk future approaches at a frightening rate. 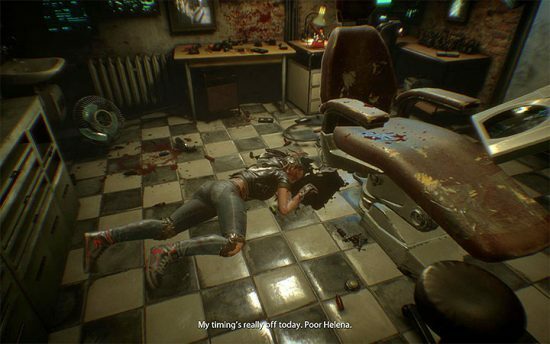 So there’s no better time to play a horror game within that leans into all these fears about how screwed we are as a species; Observer. 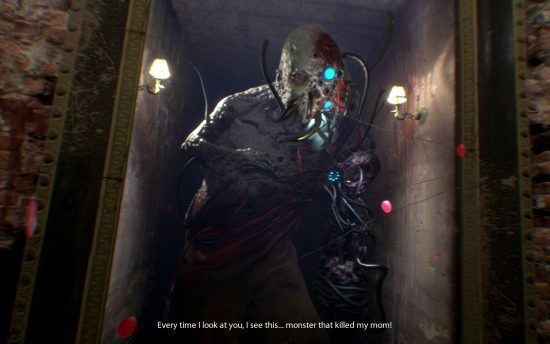 Released in August 2017 by Polish indie developer; Blooper Team, who previously worked on Layers of Fear, this game continues the team’s interest in making horror games which focus more on the unreliable perceptions of the main character and putting them in world’s where reality and fantasy merge. In the world of Observer, World War III has all but destroyed the far west and east, leaving powerful corporations in eastern Europe to take advantage and become the new ruling powers in the world. The player controls Daniel Lazarski, played by Rutger Hauer. A police officer with cybernetic enhancement that allow him to hook into the augments of others and “interrogate” them, known and feared by many as Observers: people you can’t hide anything from. 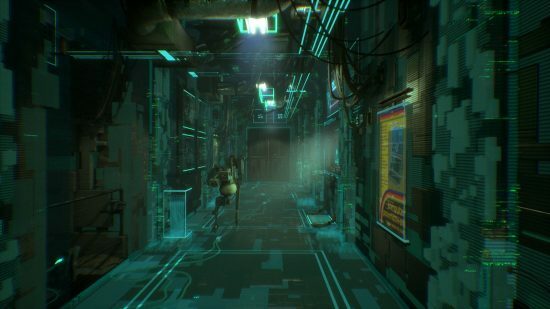 The game’s story focuses on Dan’s estranged son, reaching out to him for help through his own cybernetic augmentations. Dan, arrives at an apartment complex and finds a beheaded corpse. Just as he comes to terms with the fact that he might be too late, the complex goes into lockdown. A possible outbreak of the ‘Nanophage’ is detected, a virus that attacks people with cybernetic augmentations. Thus Dan must investigate the murder he has stumbled upon whilst also navigating the dilapidated, and locked down complex. From a first person perspective, Dan’s own cybernetics allow him to see the world with an augmented reality filter. It’s a nice trick, one that works to cover up a lot of the filth and disrepair of the building. But as the game progresses and Dan’s augments become less reliable, the true nature of how bleak this level of society become apparent. Aside from exploring the complex and speaking with the tenants via their intercoms, holed up in their tiny apartments, surrounded by technology. Dan’s investigation uncovers a further series of bodies, meaning there is a serial killer on the lose, trapped inside along with him. Despite the warnings of his own tech, Dan “interrogates” the dead bodies to find clues as to what has happened. Leaning into the classic cyberpunk tropes of the genre, each of these interrogations take place in nightmarish dream sequences. The player moving through impossible spaces as the individual’s mind streams the events that led up to their death. As the game progresses Dan’s psyche breaks down more and more, the lines between reality and these visions begin to blur and it becomes difficult to tell one from the other. Which is amongst the strongest aspect of the game. 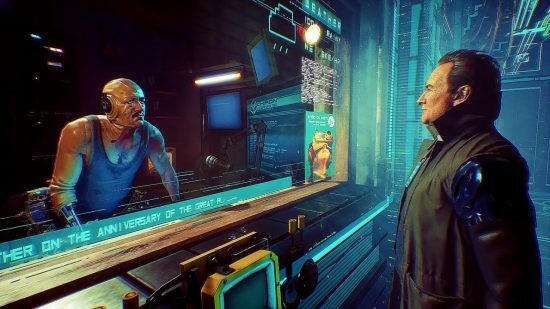 Observer hangs its hat on its setting and tone, which it delivers really well. The world the game takes place in is well realised, even if its inspirations are painfully obvious. Blade Runner, Ghost in the Shell and (nearer the end of the game) Akira. This is by no means a bad thing, the creator’s love for the source material is obvious. The problem comes when it turns out that this is most of what the game has to provide. 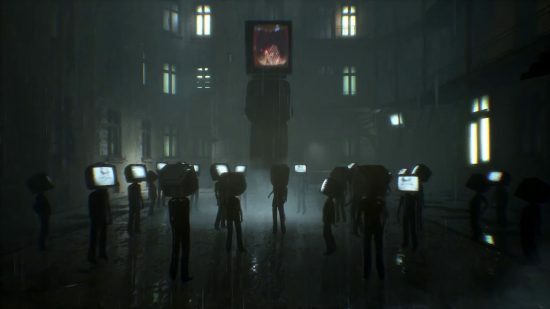 While not trying to be reductive, Observer would fall into the walking simulator category of video games, with only some incredibly light and infrequent puzzle and stealth elements to gameplay. You spend the vast majority of the time with the game being led around and simply taking in the things around you as they happen. The problem being, I was most interested in the world the game took place, so whenever I was forced into light stealth sections, they took me right out of my immersion with the game and forced me to interact with what has to be one of the worst elements of horror games; stealth where your only gameplay input is movement and a crouch. Speaking of immersion, I can’t really talk about my feelings on this game without getting into its performance issues. Despite the fact that this game is no graphical powerhouse, I consistently found myself in situations where the game would hitch, frame rate would lock for a few seconds and I would just have to wait it out. I assume these were cases of the game loading. But it happened constantly. I played the game on an Xbox One X, which Microsoft like to remind us is the most powerful console on the market. It really felt like that extra power was of zero use when it came to this issue. It’s a shame because it happened throughout, even in parts which had been story or setting beats I had been invested in before it ground to a crawl. It turns into a real mixed bag. Not every game has to be a performance, gameplay or mechanics masterpiece. Sometimes a good story or setting is more than enough to make a game a worthwhile experience, it’s one of the best things about the medium. I just feel like Observer’s message and theme got a little jumbled within its own story. It moved from one of a Blader Runner-esque grim vision of the future, dealing with things such as corporate control, loss of rights and over reliance on technology, and then it changed. As the game barrelled towards the end and Dan realises the truth behind the serial killer and what happened to his son, the game starts to focus on topics such as tranhumanism and the concept of self. I have no issues with these topics in themselves, but they felt a out of nowhere. Not just that, they’re introduced so late into the game that it feels like they don’t really get the time to focus on them enough. game itself doesn’t seem to want to delve too deeply into the topic while still have it be the basis for the choice/twist endings. Dan rejects the concept entirely, not just that the game itself villifies the character who introduces the concept for no reason beyond the fact that he is promoting it. I don’t know. It made me think of SOMA, a game which dealt with the topic with a lot more thought and gravity. It’s not a real issue, it just felt like the Observer moved away from the aspects of the game I enjoyed to focus on something that, it itself, didn’t seem to feel very strongly about. 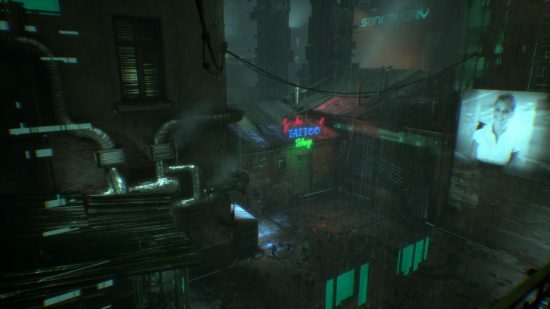 Observer is Cyberpunk: High technology, low society. It does a great job of imagining a frighteningly real vision of a potential future. It features characters with body modifications that look grotesque. Which is one of the aspects which is a given in the genre. I always thought of it at glamourising body horror, it’s unsettling and intriguing at the same time. It’s a game that contains a series of impressive visual metaphors and creative visuals with high concepts. It’s just mired by performance issues as well as any real input from the player in terms of its gameplay. If you like the things I’ve been describing, then give Observer a go. It’s effective for the most part, and some performance issues and slow ending aside, it’s a good entry to tide us over until Cyberpunk 2077 comes out. Plus it’s free with Xbox Game Pass. 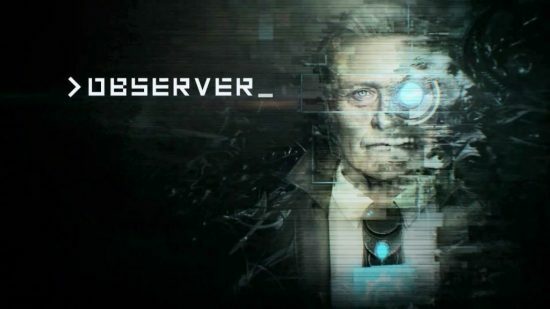 Posted on November 16, 2018 November 15, 2018 by WooderonPosted in Looking Back At:, Video GamesTagged >observer_, akira, blade runner, blooper team, body horror, cyberpunk, game pass, layers of fear, observer, rutger hauer.